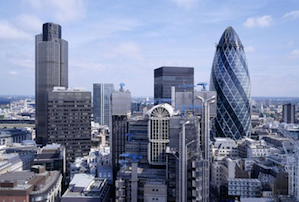 A global survey of entrepreneurs has found Londoners to be among the most positive. Thanks to a swathe of positive indicators, including rising GDP and good performance in our service and manufacturing sectors, the outlook for the UK is pretty rosy and this has filtered through to the capital’s business owners; 70% of London’s entrepreneurs are planning for growth in the next six months. The finding is part of the bi-annual Global Entrepreneurship Indicator by the Entrepreneurs’ Organisation. Of the 2,700 entrepreneurs surveyed across the globe – only 43% expected the economic outlook to improve next year, whereas 77% of London’s entrepreneurs expected improvement. Almost half of the entrepreneurs surveyed in London saw revenue growth in 2013 – giving them a terrific reason to expect good things next year. Sixty five per cent expect to increase their headcount in the next six months (compared with 63% globally) and 68% are expecting a net profit increase in the first half of 2014. ‘The results show that London’s entrepreneurs are more optimistic than they have been for five years,’ says Julie Walters, UK president of the Entrepreneurs’ Organization (obviously not that Julie Walters). Poor lending figures from the banks have done little to dampen London-based entrepreneurs’ hopes of securing capital, 48% expect to see an increase in access to funds in the coming months – a good chunk more than the global figure of 34%.